Are you a fan of glitter sunglasses? Then you don’t need to spend a lot of money unnecessarily. When you can do it yourself why do you have to spend a lot of money, which makes sense right? 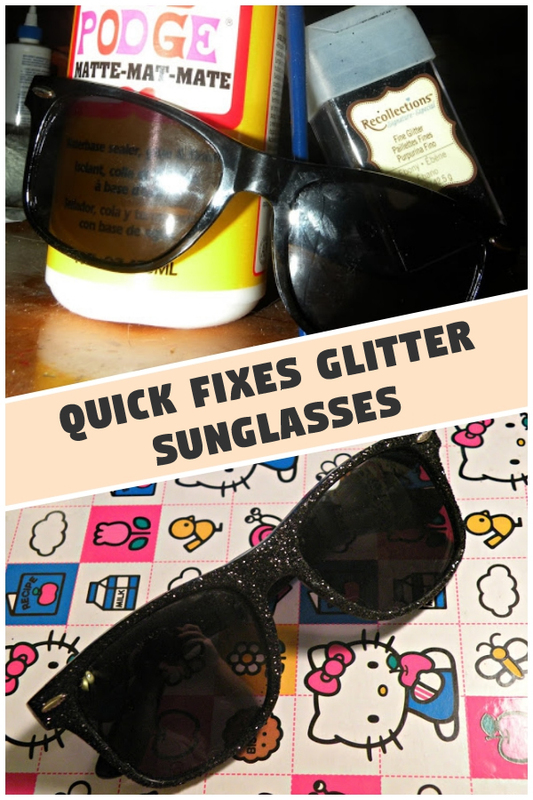 Now, with this DIY project you can make your own glittery sunglasses at a very affordable price, you just need to spend a minimal amount to create these amazing looking glitter sunglasses. 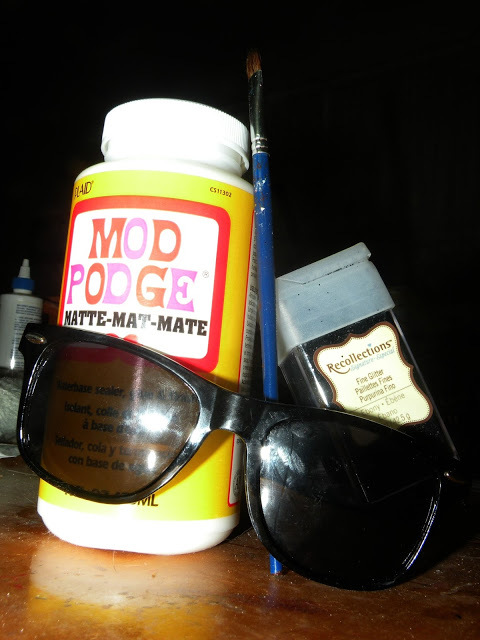 The supplies that you need to make Glitter Sunglasses including a pair of sunglasses, Elmer’s glue or Mod Podge, a paintbrush, and a glitter color of your choice. Now, to put the glitter on the glasses, you just need to brush the frame and put some Mod Podge or glue and sprinkle some glitter color on the top. 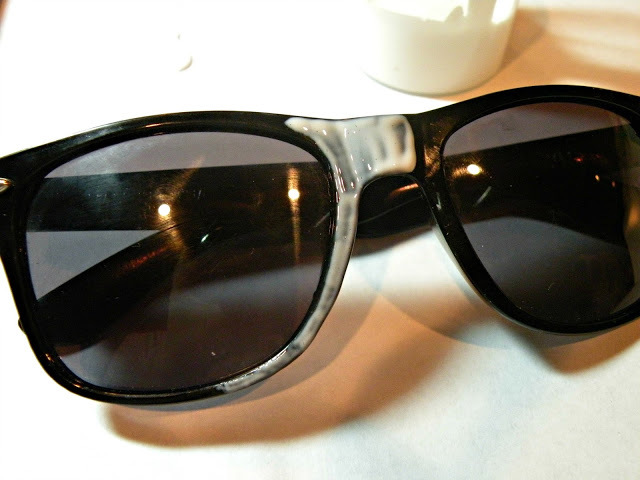 If you don’t want the glitter stuck to the actual lenses, then ensure to tape the lenses or take out the lenses from the frame so that you can fix them back after the glitter is sprayed on the frame. You can as well sprinkle the glitter slowly and carefully to prevent any accidents. As you know, Mod Podge takes more time to dry, so make sure to put the glitter slowly so that you can avoid big chucks on the frame. The best advice to those individuals, who are not professional in spraying the glitter, is that, don’t spray directly on the frame first, but practice it on a piece of paper. This can help you know how much glitter you can spray to avoid clusters. This DIY is very simple as this project does not involve too many things; all it needs is the glitter and the glue. Once the glitter dries, if you feel that glitter is falling off, then it is advisable to put a thin coat of clear nail polish. It keeps the glitter intact to the frame and it does not make the sparkle look shabby. 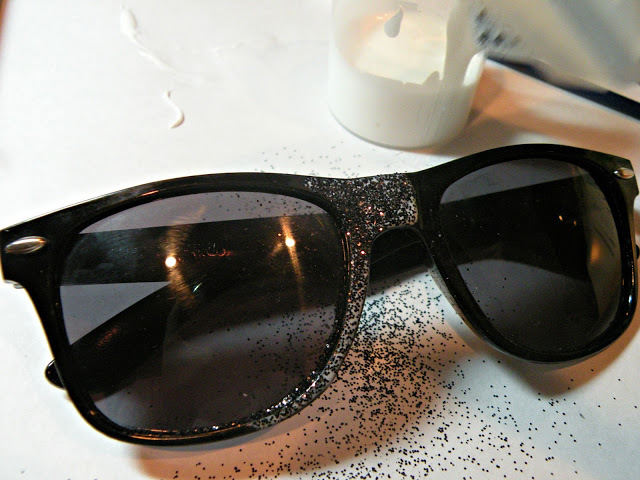 With this DIY project, you can make a plain and simple pair of sunglasses into dazzling and glittering sunglasses. This project is completely fun to do as it makes you look cool once you finish the project. It is advisable to dry the glasses overnight before you wear them.